This review was first posted on Music, Books and TeaTo be honest, I wasn’t entirely sure that I would enjoying The Gathering Dark as much as I did. I’m not a huge fan of fantasy, the few that I’ve read I have enjoyed but it’s not a genre I normally reach for. 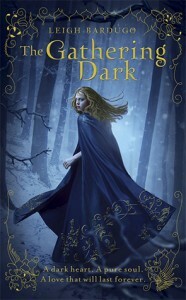 But The Gathering Dark made me completely change my views on fantasy, and it’s made me want to read more books from the genre.I instantly warmed to Alina’s character. She was so easy to like because she honestly did not believe herself to be anything special. And I think a part of her charm was her reluctance to admitting herself to be anyone but Alina, apprentice cartographer. 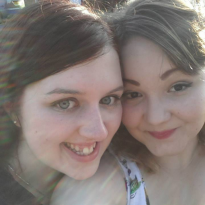 And when Alina and Mal were reunited was when Alina’s character really shone on the page. I really loved the way she interacted with Mal and how their characters complemented one another. Admittedly, Mal was a bit of a pig for most of the book, and I kind of really disliked his character, but there was no denying just how awesome their chemistry was!The Darkling is a character that I really wanted to hate but I just couldn’t. Seriously, that guy is way too seductive for his own good. I must admit, I did slightly fall in love with him, despite knowing how bad he was, there was something just so incredibly tempting about him. I don’t blame Alina for acting the way she did around him, because if I had been in her situation, I’m sure my actions would have been very similar to hers! I can’t wait to see how his character develops in Siege and Storm, because I’m sure he’s only going to get more evil and devious.The concept of the Grisha was absolutely incredible. I really haven’t read anything like it before, and I think that really helped with the entire book’s appeal. Reading The Gathering Dark was a huge change for me, because it was so refreshing to read a book completely out of my comfort zone! The Grisha themselves were fascinating characters, I really liked how their jackets gave away a little information on what they were and their role within the world. I really cannot wait to explore them even more in the rest of this series!The Gathering Dark was simply a fantastic book, and the only thing I’m disappointed about is the fact that I waited so long to read it in the first place! This is a definite must-read for any fans of YA, even if fantasy isn’t normally your thing.